13th July-A trump card of crypto currency is that it sees to it that the borders do not stop those with ambitions. Therefore, several exchanges from various countries are entering the previously unexplored territories. It is needless to mention that in order to do this, changes have to be made in the framework of the company policies and strategies, however that is not much of a cost to pay for a whole new threshold which can be explored as a result of adhering to the regulations of a country. 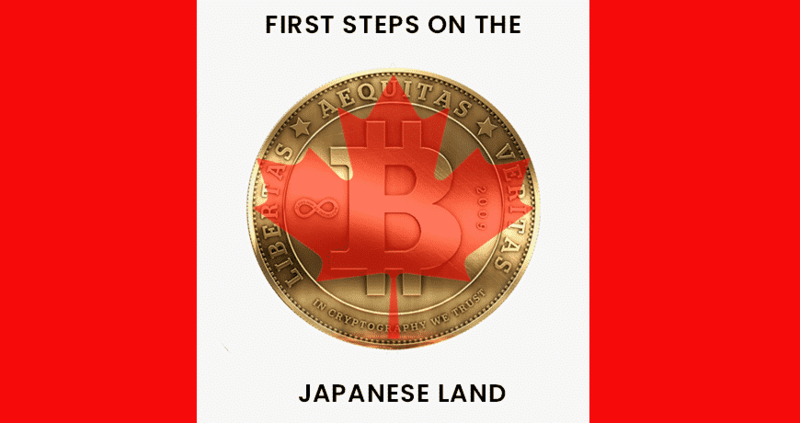 It has been found that a well-reputed crypto currency exchange of Canada, Coinsquare is establishing its services in Japan as well. However, the plans of Coinsquare await the approval from finance regulating authorities of Japan, it has been confirmed that the brand with which the new exchange will be launched is Dlta21x. Moreover, the aspirations of Coinsquare do not halt at the Japanese markets, even though the energies of Coinsquare are geared towards making the most of the Japanese market under the roof of the Japanese country and following the legislation prescribed for the same, it also aims at entering the markets of other Asian countries. Coinsquare was established in the year 2014 and since then has been providing a platform for the trading in Bitcoin, LTC, ETH etc. This exchange is known in Canada by the security intensive policies and the measures taken by it to enhance the user convenience. Moreover, it has its own mining arrangements as well. Earlier this year, the CEO of the Canadian digital exchange was also quoted saying that Coinsquare intends to come up with an office in UK and USA as well and that he believes that Coinsquare would emerge as a formidable competitor for the markets of these two countries as well. Another factor which is of prime importance as far as the future of Coinsquare in Japan is concerned is the crypto currency markets of Japan. With an ocean of exchanges in the world, there is going to be a tough competition to establish an exchange in any part of the world and Japan is no exception. However, with the increase in the number scams surrounding crypto currency, the security measures have been tightened by the regulation bodies of Japan. Laws have been tightened for the existing companies as well. It has been explicitly stated that any sort of non compliant activities will not be accepted. As of now, the aspirations of Coinsquare for the trade in Asian continent as the regulation bodies of Japan come to a decision.